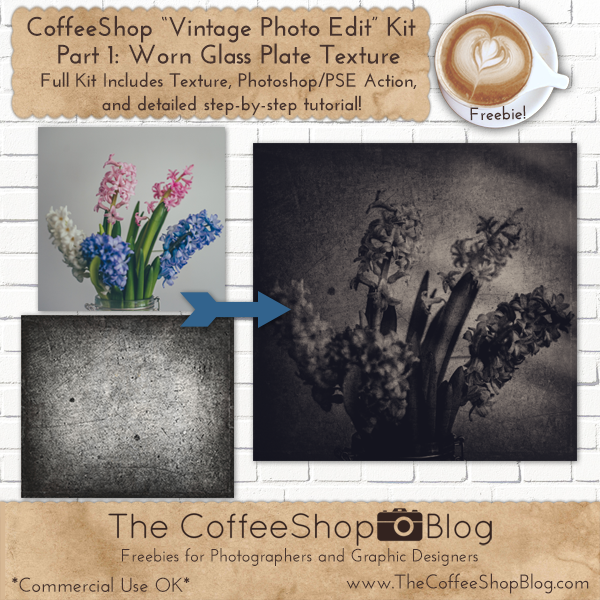 The CoffeeShop Blog: CoffeeShop "Vintage Photo Edit" Kit: Part 1, Worn Glass Plate Texture! CoffeeShop "Vintage Photo Edit" Kit: Part 1, Worn Glass Plate Texture! 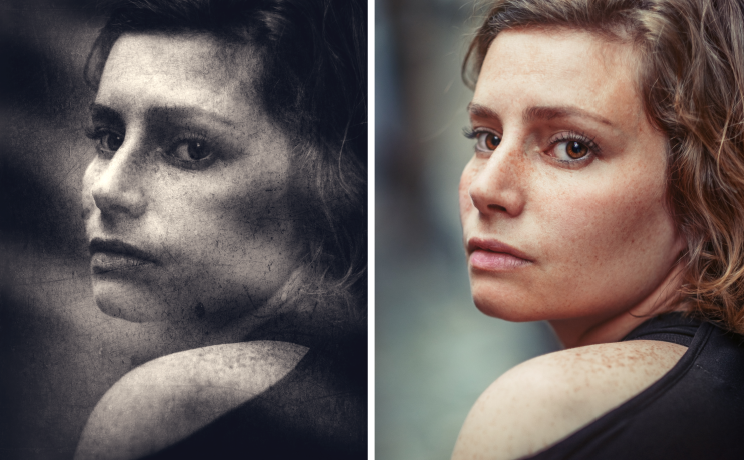 I am so excited to post my newest Fine Art editing kit for Photoshop/PSE! I call this one "Vintage Photo Edit" (clever and original, right?) and the entire kit will be posted over the next three days. The full kit includes the beautiful vintage glass plate texture you can download in this post, a fine art Photoshop/PSE B&W action, and a full-step-by-step tutorial. 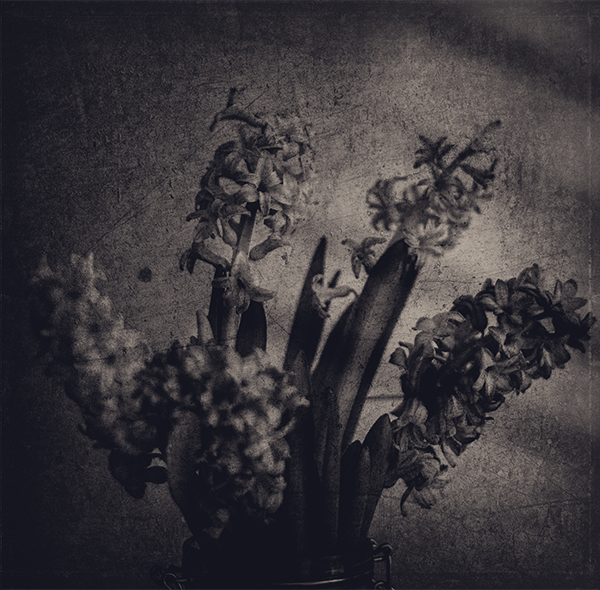 The tutorial will walk you through how I edited this flower image using the B&W action and this worn texture and added beautiful window light to an otherwise flat image. Download the CoffeeShop "Worn Glass Plate" Fine Art Texture! And be sure to come back later for the continuation of this editing kit.